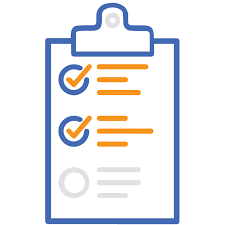 Taking place in tandem with Signal Prioritization is the Signal Assessment process that considers all available evidence when further evaluating a validated signal. During this process the safety reviewer is looking for additional sources of information that may provide further evidence for or against a causal association, or a new aspect of a known association. - Other real-world datasets that can provide information on characteristics of exposed patients and utilization and also be used to run temporal analyses to better understand AE occurrence rates. Like all of the stages of GVP IX, Signal Prioritization and Signal Assessment are data driven processes where documentation is critical. Having access to the right data and analytics to make, justify, and support the decision is critical, as is securing an audit trail of the steps taken. Access to a platform such as Evidex links the data gathering and analysis process seamlessly with an audit ready tracking and workflow process. Given that Signal Prioritization is continuously performed based on new information, having easy access to actions that were previously taken allows new participants in the process to get up to speed quickly and facilitate the consideration of any new data. Don’t want to wait for future posts? Keep reading now! You can view and download our Complete Guide to GVP Module IX for Signal Management here or view our online guide here.